This eBook contains fifteen melody and harmony arrangements for popular jamming songs. 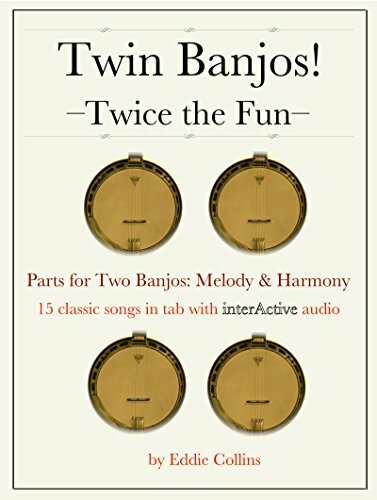 Perfect for those who have a banjo picking friend and are looking to add some excitement to their local jam. Audio buttons on each page demonstrate how each part should be played and how it will sound blended together. Slow and Fast tracks are provided. The arrangements range from advanced novice through intermediate. The harmony parts will prove more difficult as they employ some unusual patterns in both the right and left hand.